The third promenade of the best Slovenian chefs at the Lent Festival in Maribor is even bigger than last year, when it was a part of European Capital of Culture. 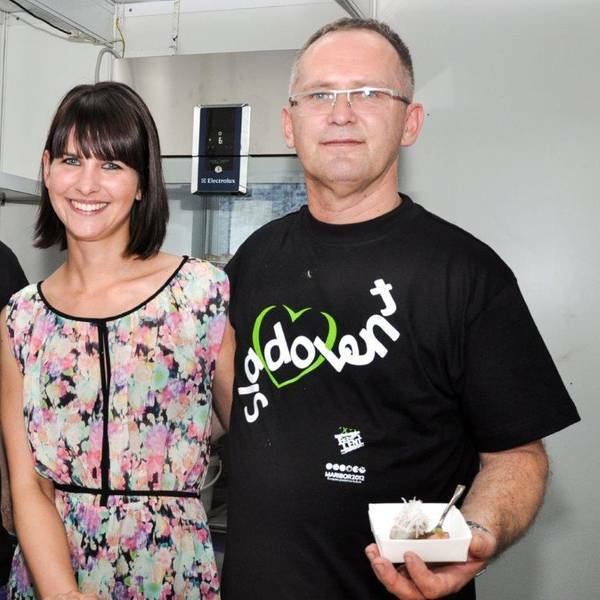 34 best Slovenian chefs are taking part in the biggest culinary event in Slovenia. The cooking show on Lent starts every evening at 7 pm and lasts until midnight. Each night the Sladolent venue next to the Central stage is hosting three chefs who will prepare their own street food dishes for the visitors. The price for each dish is €3.50. The 3rd Sladolent is accompanied by a selection of high quality wines. The regular Sladolent wine growers (Vino Štajerska – Protner, Gaube, Valdhuber, Steyer, Dveri Pax) are joined by visiting wine growers from all three Slovenian wine regions. Beside the six street food dishes every night, you can to choose between fifteen different excellent Slovenian wines. The price of one wine token is 2 or 3 euros per glass. The kitchens of the top Slovenian chefs were equipped by Electrolux and the special street food packaging was provided by Duropack.